We are pleased to recognize these exemplary higher education faculty-led teams and institutions for advancing student success through the adoption of digital courseware. The following three institutions were awarded $100,000 for their innovative and creative programs, dedicated to accelerating the adoption of digital courseware for general education or gateway courses. Click on the logos to learn what they’ve done. Under the leadership of President Carol A. Leary, Bay Path University has made strategic investments in the development of undergraduate programs to better serve women of all ages and stages from underrepresented populations. Since 1897 Bay Path, an independent and not-for-profit institution, has provided practical, affordable and career oriented education. Our accelerated baccalaureate degree programs – delivered on-ground through the One Day A Week Saturday program since 1999 and fully online through The American Women’s College since 2013 – offer flexible and affordable access to higher education with programs designed specifically to empower and propel the diverse population of women we serve, of whom 74% are first-generation, 54% are Pell-eligible and 43% are women of color, toward achievement of their college degree and career aspirations. Founded in 1955, Cerritos College is a community college serving an area of 52 square miles of southeastern Los Angeles County. It offers degrees and certificates in 87 areas of study in 9 divisions. Our mission is teaching and our faculty has established a distinguished record of scholarship, research and publication. Cerritos College values its diverse student population and is committed to providing these students with high quality, comprehensive instructional programs that offer clear pathways to achieve personal, educational and career goals. Cerritos College is a federally designated Hispanic Serving Institution. 69% of its 24,388 students in Fall 2015 were Hispanic, 7% Asian, 3% African American, and 6% Caucasian. Cerritos College ranks second in the state for Mexican-American/Latino student transfers to California State Universities. 85% of incoming students are the first in their families to attend college. The District provides an innovative, technologically advanced, educational community in which students work to attain an associate’s degree, transfer to a four-year university, career/technical degree or certificate, or job skills. In 2012, the Kaleidoscope project created a comprehensive set of general education course designs that use open educational resources (OER) with a focus on improving the success of at-risk students. Courses in accounting, biology, business, chemistry, earth sciences, education, English, math, psychology and reading were developed incorporating OER. Student success rates were enhanced at greatly reduced costs. The project was chosen as a Campus Technology Innovator by Campus Technology magazine (2012). NAU is a public “high research” university located in Flagstaff, Arizona, 144 miles North of Phoenix. Our enrollment has grown overthe past decade such that our total topped 29,000, including over 25,000 undergraduates, in fall, 2015. Our commitment to access is demonstrated in our policies and programs, for example our four year tuition “pledge” rate (guaranteed same rate for four years) and our Office of First Generation Programs and Services. Correspondingly, our percentage of students who are Pell grant eligible has risen to about 35%, and over 40% percent of our 2014 and 2015 freshmen are first generation college students. Our institutional values include embracing diversity, which is evidenced by, for example, our ranking by Diverse: Issues in Higher Education (2015) as the 7th highest university in the country for granting bachelor’s degrees in Liberal Arts and Sciences, General Studies and Humanities to all minorities (combined). While we have much to be proud of, we strive for continuous improvement. Empowering all students to attain a high quality undergraduate degree is at the core of our mission. 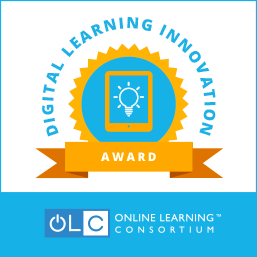 The following faculty-led teams were awarded $10,000 for their innovative and creative programs, dedicated to accelerating the adoption of digital courseware for general education or gateway courses. Click on the logos to learn what they’ve done. Established in 1903, Fisher College is a small, private, 4‐year nonprofit institution of higher education whose main campus is in Boston, MA. Our mission is to provide our students with the knowledge and skills necessary for a lifetime of intellectual and professional pursuits. The College offers bachelor’s degrees in 24 areas of study along with a master’s degree in business administration. Fisher College is a small school by design with a total enrollment of about 2,000 students. Our students come to us because we provide them with a degree of community and personalization that is rarely found in today’s higher education. This personalization is made possible by our low student‐teacher ratios: the ratio of full‐time undergraduate day students to full‐time faculty in Academic Year 2016 was 16 to 1. We strive to create a family atmosphere and believe in each student’s potential to succeed academically, personally, and professionally. Lehman College is one of the 24 colleges of the City University of New York, the nation’s largest urban public university. The 37-acre campus and its beautiful gothic architecture were constructed in the 1930s as part of Hunter College (another CUNY college in Manhattan) to better serve the residents of the Bronx. Fifty years ago, the Bronx campus of Hunter became independent and Lehman College of CUNY was born. Lehman is the only public senior college in the Bronx and serves as a cultural hub for the borough. Its Performing Arts Center regularly hosts international performances of musicians and dancers. Lehman educates most of the nurses and teachers of the borough and surrounding suburbs. And Lehman’s Instructional Technology (IT) department is known within CUNY as a unit that values innovation and has led Lehman in offering the most online courses within CUNY. Oregon State is a leading public research university located in Corvallis, one of the safest, smartest, greenest small cities in the nation.Founded in 1868, Oregon State is the state’s Land Grant university and is one of only two universities in the U.S. to have Sea Grant, Space Grant and Sun Grant designations.As Oregon’s leading public research university, with $308.9 million in external funding in the 2015 fiscal year, Oregon State’s impact reaches across the state and beyond.With 11 colleges, 15 Agricultural Experiment Stations, 35 county Extension offices, the Hatfield Marine Science Center in Newport and OSU-Cascades in Bend, Oregon State has a presence in every one of Oregon’s 36 counties, with a statewide economic footprint of $2.232 billion. Rowan-Cabarrus Community College has spent over 50 years serving Rowan and Cabarrus counties. Opening its doors in 1963, the College offers a wide-variety of programs to serve a diverse population. Rowan-Cabarrus has a deep commitment to teaching excellence, student care and education affordability. Our multiple campuses are conveniently and strategically located. Rowan-Cabarrus offers associate degree programs in more than 30 areas of study, including business, IT, health, engineering and biotechnology. The College offers numerous degrees entirely online, as well as certificates focused on career training. Rowan-Cabarrus provides more than 2,000 course offerings, serving a yearly overall enrollment of more than 20,000 students. In 2015, an app launched allowing Rowan-Cabarrus students to register for classes and view schedules on the go. In both 2015 and 2016, Rowan-Cabarrus placed as one of the Top Ten Digital Community Colleges in the country by the Center for Digital Education (tenth and sixth place, respectively). An ever-expanding set of extra-curricular activities creates a holistic experience and develops well-rounded graduates. Simply put, Rowan-Cabarrus Community College is a way forward – for our students, our economy, our community. Founded in 1869, Tougaloo College is an independent, historically black, coeducational four-year liberal arts institution, located on the northern border of Jackson, Mississippi. Overall enrollment in Tougaloo College has averaged 950 students over the past eight years with more than 98% of the student population being African-American. Students enrolling in Tougaloo have a median family income of $26,717, which is much lower than average compared to all colleges (average: $54,179). Historically, Tougaloo students have been for the most part, first generation students. There are four academic divisions, including the Division of Natural Sciences, the Division of Education, the Division of Social Sciences and the Division of Humanities. The Department of Biology in the Division of Natural Sciences offers an online course that satisfies the General Education Science requirement for non-science majors. This class is being offered through the online platform Junction Education. Enrollment in this class is around one hundred students per academic year.